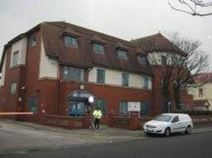 Office Space - Rhyl, Denbighshire. These spacious, light serviced offices are well-equipped, comfortable, and ready for a range of business types. A mixture of open-plan and modular space is available, and the centre enjoys a pleasant location just a short walk from the town centre.